In 2015, traffic increased by 2.7% compared with 2014. APRR is investing in the network and developing its offering in order to support this growth and give customers a fresh travel experience. offer services that address emerging mobility needs. APRR is committed to ensuring optimal real-time traffic management. The Group has introduced round-the-clock monitoring systems to make travel a safe, smooth experience. 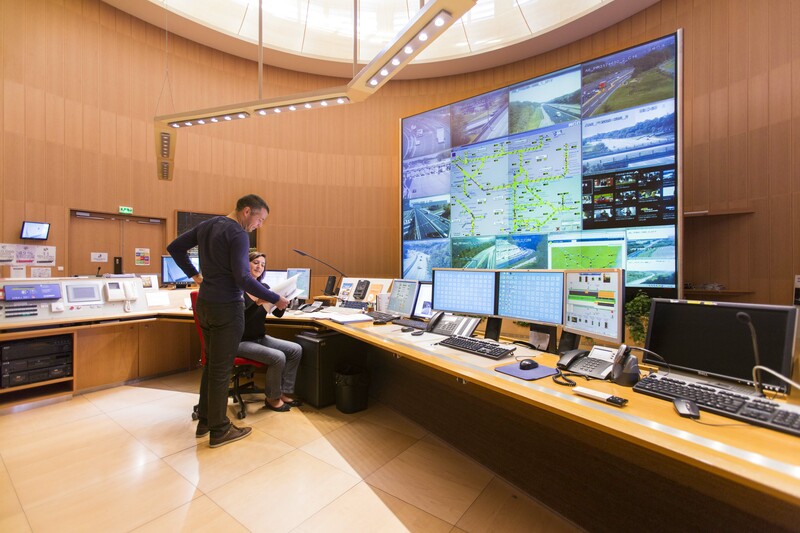 Information about traffic conditions is relayed by multiple media and information channels available to customers, including variable-message signs, the Autoroute INFO (107.7 MHz) radio station, a telephone hotline (36 20 “Mon Autoroute”) and the Planning + application. drive-through toll collection systems are being rolled out to cut journey times. anticipate contingencies (severe weather events, etc. ), prepare for them and minimise their consequences.